Please note that the links to St. Louis Business Journal articles may only display a portion of the article due to subscriber-only content restrictions. We apologize for any inconvenience this may cause. Deck Commerce, a Brentwood company that has developed cloud software that syncs inventory, orders and product data for retailers, has raised $2 million from local venture capital firm Arsenal Capital Management. Arsenal Capital Management, led by Pete Reinecke, reported investing $8.7 million in the first half in eight companies, three of them based in St. Louis (Bonfyre, Appistry and Juristat). Peter Reinecke, managing director of Arsenal, said the follow-on investment represents the firm’s belief that Bonfyre has developed a platform in which a company can engage and communicate with their employees to build and maintain a strong workplace culture. “Our investment in Harbor continues the strategy of making significant investments in companies with disruptive products and technologies in the healthcare market,” Reinecke said in a statement. Homeward Health, LLC Closes Series “B” Funding Round With Arsenal Capital Management of St. Louis, MO. 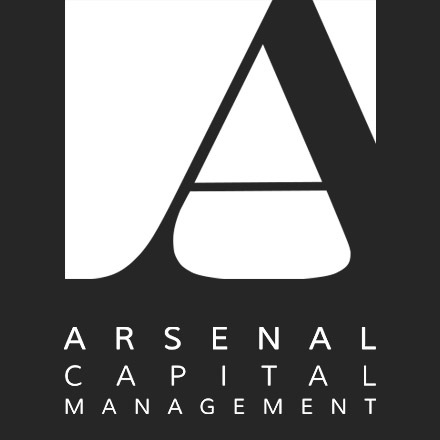 Arsenal Capital Management, a venture capital firm led by Pete Reinecke, raised $15.7 million and invested $14.7 million in eight portfolio companies in 2014. St. Louis entrepreneurs take note: Peter Reinecke of Arsenal Capital Management is billing his firm as, ‘Different by Design’ and is currently sourcing high quality investors to participate in his next fund. Arsenal Capital Management (ACM), the St. Louis-based venture capital firm led by Pete Reinecke, has invested $750,000 in an Ohio-based IT startup redesigning the discharge and care transition process for hospitals and patients. Life science companies raised more than $8 billion from venture capital firms in 2014, a 28 percent increase over 2013. CAMBRIDGE, Mass.–(BUSINESS WIRE)–KEW Group Inc. (KEW), a privately held oncology services company, today announced the successful completion of a $16.8 million Series B financing led by Signet Healthcare Partners. Juristat, the St. Louis startup that helps lawyers predict the outcomes of the patent legal process, has raised $1.2 million from a group of investors led by Arsenal Capital Management. 10 Startups to watch in 2015; The Business Journal asked an informal panel of five people heavily involved in the innovation community in St. Louis about which startups we should keep an eye on this year. A new St. Louis business incubator focused on the biotech industry is looking to take ideas at their earliest stage, turn them into companies and fund them until they’re ready to sell off. Kypha, an early-stage medical device startup developing a test to monitor inflammation quickly and accurately, has raised $3.5 million from a group of investors led by Arsenal Capital Management. Arsenal, led by manager Pete Reinecke, has invested $8 million into TransMed Systems, a California-based company founded in 2010 whose software lets physicians identify patterns in genomic data and research to more effectively treat patients. The $8 million investment for TransMed is the largest equity investment for Arsenal to date. Appistry, the St. Louis-based cloud computing company, was named one of eight businesses participating in Start-Up NY’s latest tax-free initiative. More than $54 million has been invested in the company from investors that include the St. Louis Arch Angels, Arsenal Capital Management, eXome Capital and Stuart Mill Venture Partners. It was a Big year for private equity. Also seeing earlier investments pay this year are Arsenal Capital Management, St. Louis Arch Angels, Missouri Technology Corp., University of Missouri and other private investors who will see positive returns from the $35 million sale of the Columbia, Mo.-based startup video news organization Newsy to E.W. Scripps. No one will be getting a bigger return than Arsenal Capital Management from E.W. Scripps’ $35 million acquisition of Newsy, announced earlier this month. class="page-template page-template-page-sections page-template-page-sections-php page page-id-29 samba_theme samba_left_nav samba_left_align samba_responsive wpb-js-composer js-comp-ver-5.1.1 vc_responsive"